When things heat up, it's time to lighten up. There's nothing like a crisp pair of white pants to put us in the mood for spring and summer. It's a chic staple that's also extremely versatile for work-to-play wear. 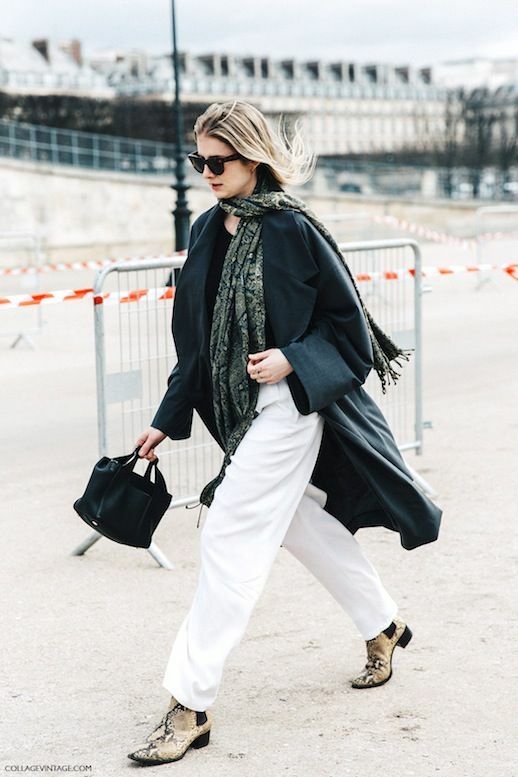 These slouchy white pants ease this street style star into spring with a lightweight oversized coat, a printed scarf and edgy python ankle boots.